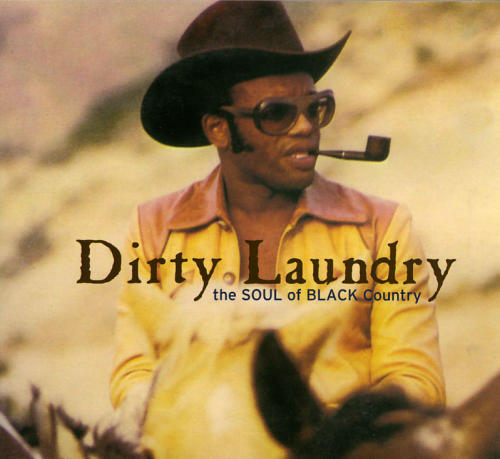 Get off yer horse and check out a few samples from volume one of the two-volume Dirty Laundry compilation that rounds up a collection of black country-soul nuggets, both covers and originals (James Brown covering Hank Williams, anyone? ), from the sixties and seventies. Thanks to mr. Ryan for the turn-on. I believe that James Brown track you have listed is actually Bobby Powell. if that’s james brown then i’m a monkey’s uncle, and my brother never gets laid. yup, i fucked that up. gonna replace it now…………………. Dont know if you noticed Justin but there is a part two of this series. Badass. I just covered this very topic on my blog, The Adios Lounge. If you like this sorta thing, check it out. And not having heard of this comp, thanks for the heads up. This will be sweet to cherry-pick for my next go-round. The link you have to Bettye LaVette’s What Condition My Condition Was In is a bootleged live version, totally different from the one on Dirty Laundry. Excellent post. For a current example you can’t go wrong with the latest releases from Solomon Burke. Trikont may well be the greatest label that ever existed.